I have tried a number of different hair removal creams mainly "Veet" products and I have very sensitive legs as I can easily react to just using a blade and end up with red "chicken" spots which doesn't look appealing in my opinion. I remember waxing my legs actually helped and I remember the spots actually vanished for awhile. I do find shaving my legs is easy but then again I'd rather not have these spots on my legs no more. I went into Boots the other day and spotted their own Range of Hair Removal Cream. They had two sizes and I picked up the 200ml pack that was on offer at a reduced price from £5.10 to £3.40. So obviously I thought that was actually a right steal to try out. 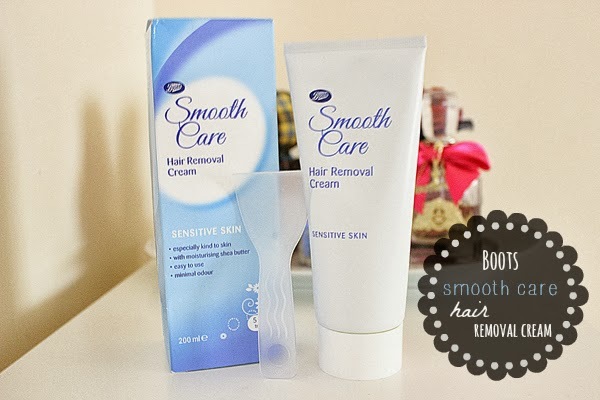 Boots Smooth Care Hair Removal Cream Sensitive Skin 200ml £3.40, comes with a 200ml cream in a tube and a spatula. With the amount in the tube you could easily get 2-3 uses out of it. Where as I was testing it I used 3/4 of the tube for the first out as I think I was a bit heavy-handed. (naughty Stefy) It says that it is a 5-Minute Treatment and says to never leave more than 10 minutes on the skin. How does it work, you may ask? Well you basically squeeze the tube and distributed evenly onto your skin (legs ideally) and using the back of the spatula in the box to even it out onto the skin. After 5 minutes you then can test a small area and if you do in fact see that the hair is coming off easily then you are safe to remove the whole area. If not, then you can wait an additional couple of minutes between 2-5 minutes and you can then try again. The hair starts to come off and it feels lovely not having tingling feelings after shaving so I will definitely be using hair removal cream for the time being. With hair growth I think it would easily take 1-2 weeks before it will grow back up again which is perfect. Overall, It has left my legs feeling so soft and luxurious I was amazed. For the price and amount that you do get in the box is fantastic for your money. I will probably get through a box a month or so depending on the hair growth. It does state that you could even test the product 24 hours prior to see if you react to the product just in case you aren't sure if it will agree on your skin. DO YOU WAX, SHAVE OR USE REMOVAL CREAM? SHARE YOUR THOUGHTS AND LET ME KNOW IN THE COMMENTS BOX! Definitely Jane, I am hoping in a couple of months i'll be spot free! Fingers crossed! It's just something to do with shaving that I end up in a rash and it's horrible! I used to shave my legs earlier, but the problem I had was my hair regrow faster. So I had to shave it in the gap of very few days. But I'm using Epilators and Ive got wonderful results by using it. The hair doesn't become coarse also. 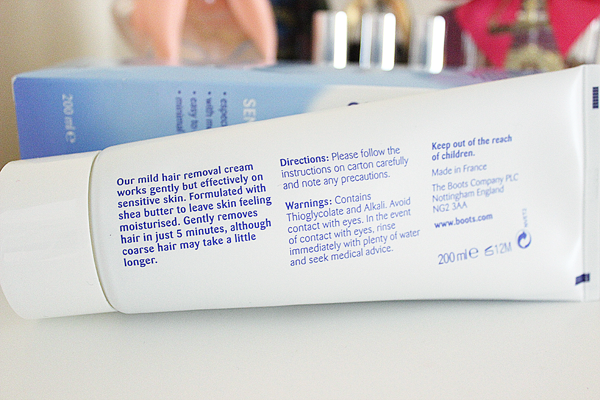 However if I would get this Boots cream I'll surely give it a try.